Twila Carter reached 65 years of membership with Unit No. 245 American Legion Auxiliary. She is pictured with Dorothy Shively. NEW MADISON – Dorothy Shively, president of Unit No. 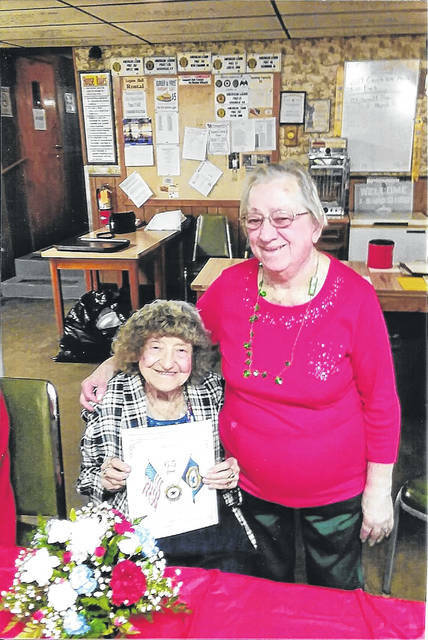 245 American Legion Auxiliary, congratulated Twila Carter for reaching the milestone of 65 years of membership. Carter received a certificate, year pin and nosegay of flowers. Carter is very active in the organization and at one time never missed a meeting in 35 years.